Closed die forging is also named as impression die forging. In impression-die, work metal is placed between upper and lower dies that attached to the anvil.Usually the hammer die is shaped as well. The hammer is then dropped on the workpiece, so that the metal flows and fills the die cavities. The hammer is generally working on the workpiece at the speed of milliseconds. Depending on the size and complexity of the part the hammer may be dropped several times in quick succession. Excess metal is squeezed out of the die cavities,we call this flash. The flash cools more rapidly than the rest of the material; this cool metal is stronger than the metal in the die so it helps prevent more flash from forming. This also forces the metal to completely fill the die cavity. After forging, the flash is removed by punching machine (Of course, trimming die will also first made together with forging dies). In commercial closed die forging, the workpiece is usually moved through a series of cavities in a die to get from an ingot to the desired shape. The first impression is used to distribute the metal into the rough shape in accordance to the needs of later cavities; this impression is called an edging, fullering, or bending impression. The following cavities are called blocking cavities, in which the piece is working into a shape that more closely resembles the final product. These stages usually impart the workpiece with generous bends and large fillets. The final shape is forged in a final or finisher impression cavity. If there is only a short run of parts to be done it may be more economical for the die to lack a final impression cavity and instead machine the final features. Closed die forging process has been further improved in recent years through increased automation which includes induction heating, mechanical feeding, positioning and manipulation, and the direct heat treatment of parts after closed die forging. One variation of closed die forging process is called flashless forging, or true closed-die forging. In this type of forging, the die cavities are completely closed, which keeps the workpiece from forming flash. The major advantage to this process is that less metal is lost to flash. Flash can account for 20 to 45% of the starting material. The disadvantages of this process include additional cost due to a more complex die design and the need for better lubrication and workpiece placement. There are other variations of part formation that integrate closed die forging. One method incorporates casting a forging preform from liquid metal. The casting is removed after it has solidified, but while still hot.It is then finished in a single cavity die. The flash is trimmed, then the part is quench hardened. Another variation follows the same process as outlined above, except the preform is produced by the spraying deposition of metal droplet into shaped collectors (similar to the Osprey process). Closed-die forging process has a high initial cost due to the creation of dies and required design work to make working die cavities. However, it has low recurring costs for each part, thus forgings become more economical with more volume. 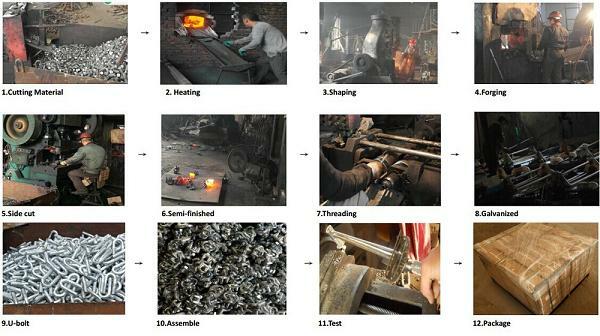 This is one of the major reasons closed-die forging process are often used in the automotive and defense industry. Another reason closed die forging process is common in these industrial sectors is because closed die forging can produce the strongest steel parts than other metal forming processes. Looking for a good closed die forging company yet low price, pls get in touch with us. My name is CARLOS SANCHEZ, I work for a forging manufacturer called FORJAS BOLIVAR. It is based in Medellin – Colombia. I would like to receive a quotation of forging dies.